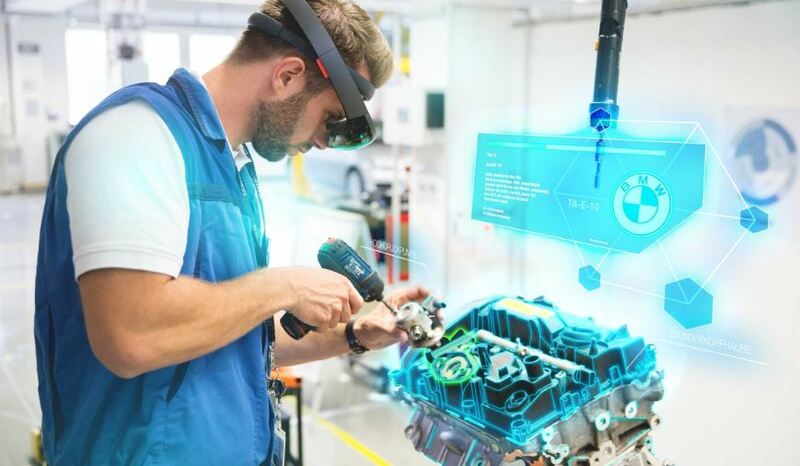 The BMW Group Production focuses increasingly on trendsetting, easy-to-use and effective virtual (VR) and augmented (AR) reality applications. VR images, or artificially created images, are ever more realistic and hard to distinguish from real pictures. In AR applications, illustrations complement real images. AR and VR images can be viewed in special headsets or on normal tablet computers. In production, these images are powerful tools in numerous use cases in training and qualification, planning of workstations at the assembly line, or quality control. In all applications, the technology keeps modestly in the background. No extensive IT expertise is required to use these applications efficiently.